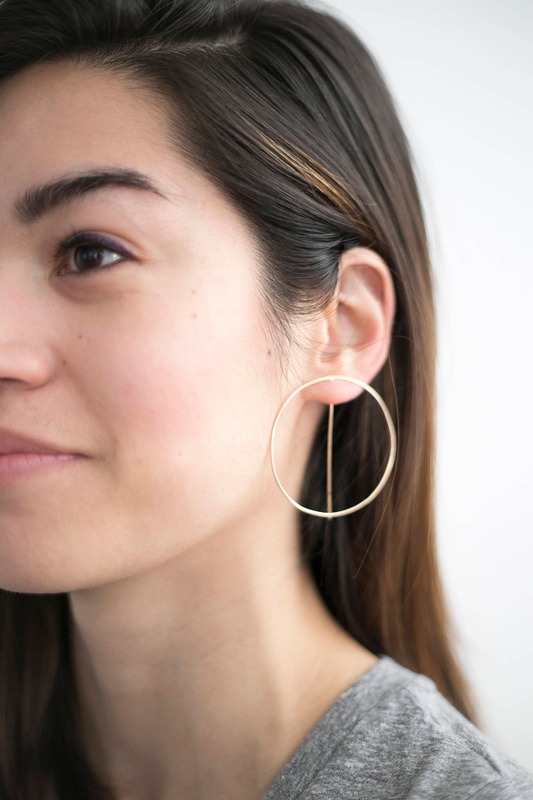 A new take on the class hoop earring. 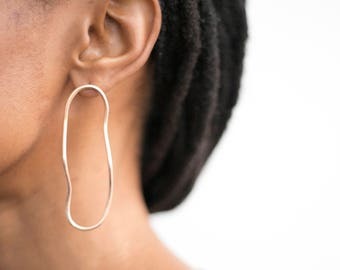 These hoops thread in and hug the ear. 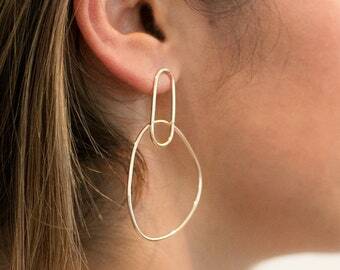 A minimalist earring that makes a bold statement. Solid Sterling Silver or 14kt Gold Fill, great for sensitive ears.